Time for Your Furniture to Grow Up? Feng shui? No way! At least in the apartment of a full-grown man. Not much has evolved from the college dorm room into the bedroom of a single (or coupled) thirty-something man: trapped in a purgatory between college and adulthood, the fully grown male tends to shop in trends of cheap. Regardless of the necessity, it is almost always the cheapest alternative that wins over the heart of the male consumer. It’s not uncommon to find a cheap set of mismatched pots hanging in the kitchen, a rather bland and undecorative living space, and Ikea-inspired furniture found on the sidewalk during freshman year. The unlively living space of a man on the move makes for a not particularly inviting space. How many girls actually like hanging out in your version of a grown up college dorm? It's time to put down the Stars Wars posters and put up the wall flat. Easy, and a relatively good investment in the name home design, Inhabit has launched a new line of wall flats. For all you gentlemen who are scratching your head at the phrase “wall flats,” they are beautifully-etched squares that can be placed on your wall for a completely new look. The squares come in a multitude of designs, each one with its own unique personality. Feeling as busy as a bee? There’s a hive-themed wall flat for that. Feel like drifting around? There’s a wall flat for that. And on top of their visual versatility, the flats are all eco-friendly; created by a byproduct of sugar cane processing, the normally discarded left-overs have been transformed for your living room. Whatever your personality, Inhabit’s bound to have something you like. Whether it's a new headboard (because you know you actually need one), or something to hide those beer stains, Inhabit's got you covered. It's something that your girlfriend and mom can actually agree to like for once. In true East meets West fashion, we at Los Angeles based EVOLUTIONMAN are proud to announce our latest East Coast-based retailer, Ricky’s NYC. Ricky’s, a free-spirited beauty retail chain, will begin carrying EVMAN products this coming December. 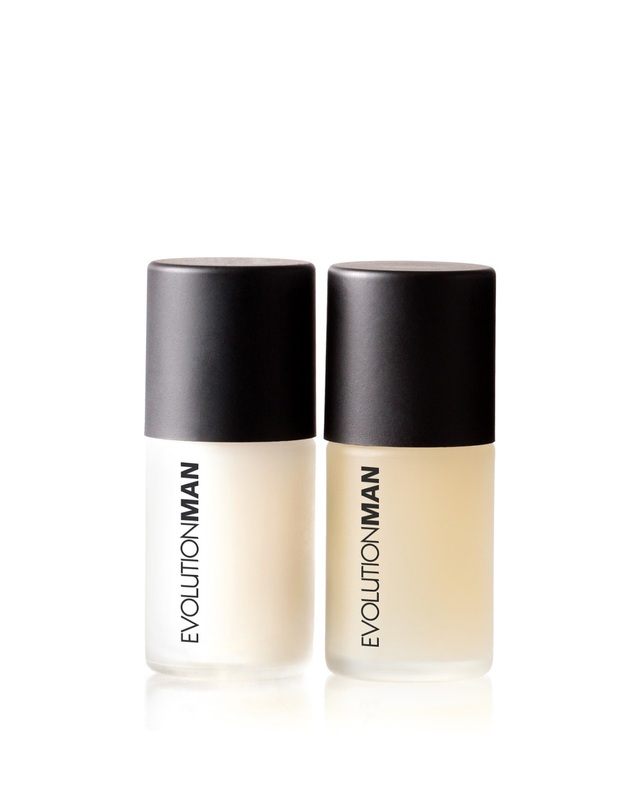 The collaboration between us two beauty giants signifies EVOLUTIONMAN’s launch into one of the most revered one-stop beauty shops in the East. Completely unlike any other men’s cosmetic product on Ricky’s shelves, our introduction into the Ricky’s family signifies a new-found focus on making high-quality men’s grooming products available to an equally discerning demographic. Ricky’s cult-like following will have access to our matchless line of skincare products, including the award-winning Wash & Buff, Conceal & Treat (a highly praised acne fighting concealer) and nail polishes designed with the man in mind! So aside from the immediate perks of painting a flashy coat of polish onto your nails, clear nail polish provides a lot of benefits that aren't detailed on the bottle's instructions. Not only a great topcoat, clear polish is a lot like Windex® in My Big Fat Greek Wedding - it is the go-to product for quick fix-ups! Protect Your Nails – When you apply a coat of clear polish, not only are your nails going to look a whole lot more healthy, but you’ll be protecting them dryness and flakiness with a subtle sheen of this nail paint. And for all you guitar players out there, clear nail polish has been widely speculated to protect and strengthen your nails from the ravages of strumming. Nourish Your Nails – Certain brands of polish contain Vitamins A, E, and C, all to further promote strength in your nails. The nutrients infused into these polishes will encourage healthy nail growth and repair any damage. We recommend applying Pure Bling on a regular basis to keep your nails strong looking... just like you. Fix Your Sunglasses – Unless your sunglasses have completely broken apart, you can use clear polish to fix minor details on your lenses. The tiny screws that hold your sunglasses together can be strengthened when you paint a bit of polish on them just before tightening. Once the screw has been properly twisted in place, a drop of polish on the top and bottom of the screw will ensure its security. When You're a Handyman - Show off your handyman skills by whipping out a bottle of polish when you're fixing up a house (prepare for the stares!). Use the polish to tighten loose screws - apply a coat to a screw before winding it in. Let the polish dry and just as the saying goes, set it and forget it! Your screws will be tighter, and you won't have to worry about your work falling apart. In addition to tightening up screws, nail polish is also great for quick-sealing chips in tiles or enamel in the bathroom or kitchen. Prevent Rust Rings - You know those unsightly little rust rings on the shower floor or lip of the tub that your metal shaving cream cans make? It means its time to switch over to a more durable plastic tube like EVMAN's Cleanse & Shave. But if you love and swear by your metal-based bottle, you can apply a thin layer of nail polish on the bottom for a rust-free shower. Impress the Ladies - While it's not an absolute requirement that your feet be as clean and beautiful as the day you were born (I mean, come on - we do walk on the floor everyday! ), no self-respecting man wants to have a girl recoil in horror at the sight of unkempt, smelly, and dirty feet. According to the Daily News, more men are trading in their less-than-kempt toe nails for a cleaner, more polished look. You can achieve the look at home by applying a light coat of clear polish to all your nails - not only will it protect them from the weather and elements, but they're likely to look a lot more spruced up! Have any other interesting uses for clear nail polish? Share them here! Driving down the streets of LA, it's hard not to notice the utter decadence the city showers upon itself. A stroll down Rodeo Drive screams extravagance, while a drive down Sunset Boulevard exhibits the most supreme examples of success in Hollywood. Santa Monica Boulevard, a stylish and luxurious street that curves through the heart of West Hollywood, just so happens to teeter between two socioeconomic extremes. Just beyond a cluster of high-end fashion stores, theatrical hot spots, and more Starbucks than you can shake a stick at, a clear division of the boulevard becomes apparent. For some of us, this unsettling shift in condition simply becomes a change in scenery as we drive by. Yet for the residents who have endured the brunt of life's dice roll, the boulevard has become their home. Building corners and sidewalks are transformed into their residence for a night, and as the tough times linger, so do the often addictive difficulties that surround their lifestyle. For those in the LGBT community that have endured the unkindness of the LA streets, all while juggling the emotional turmoil of coming out in a less than receptive environment, the Jeff Griffith Youth Center remains an oasis in the recovery process. Whether all you need is a hot breakfast in the morning, or a place to take a hot shower and get a fresh change of clothes, the Jeff Griffith Youth Center opens its doors to the gay, bisexual, and transgender teens of our community. Nestled just one block east of West Hollywood, the center provides a world of resources to those battling homelessness, addiction, domestic abuse, or hunger. In addition to providing aid for those in need, the center remains a safe transitional spot for harder times by providing a safe haven filled with such things as support groups, GED preparation, and even linking these youth with employers that are willing to take a chance on them to get them off the streets. EVOLUTIONMAN has worked with the Youth Center in the past to provide facial cleaners and shaving cream for those displaced youth in need of hygiene products. And, in this coming November, EVOLUTIONMAN will be rolling out a new sale: when you buy any product on our site, we'll be donating one to Jeff Griffith Youth Center. 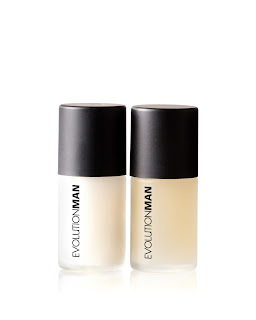 It's called our Buy One, Give One sale - when you purchase your next Cleanse & Shave on evolution-man.com, you can rest with the fact that someone at the center will be getting one too. You can find more about the Jeff Griffith Youth Center and their fantastic programs to help LA's homeless youth transition into independent living by visiting their website. Facebook fans get the inside scoop on our newest products and promotions! Follow us on Twitter for behind the scenes peeks, contests and flash sales! Send us and email - we'll get back to you right away!